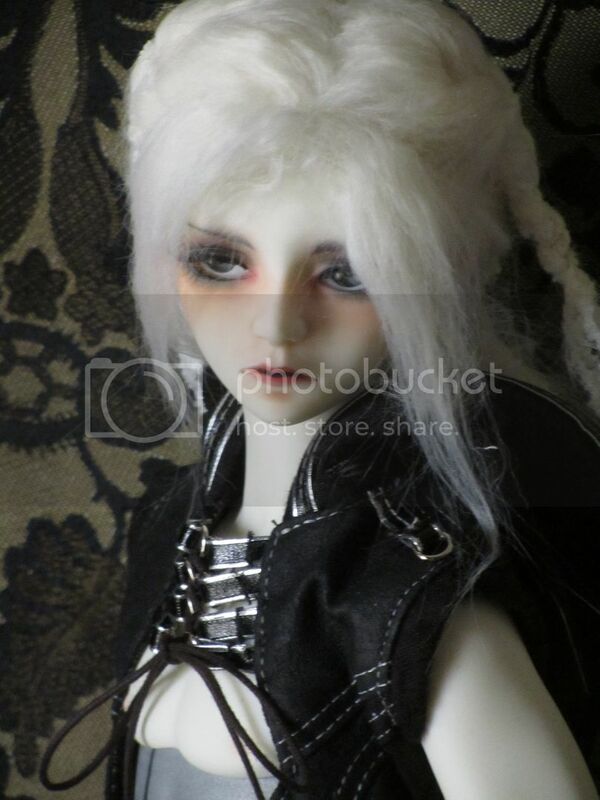 Here's another new addition this year, a Mini-sized boy made by Souldoll, a Souloid Iraki. I don't have many Mini-sized dolls. He is my third. 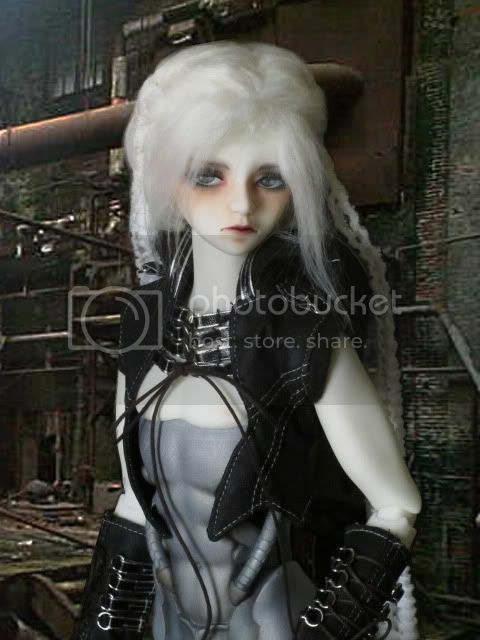 And my first doll from Souldoll. Usually I don't go for 'cute and young' so much, so MSD-sizes are easier to resist. But Souldoll only makes their android/cyborg Souloids in this size (so far), and something about his face and expression just worked for me. 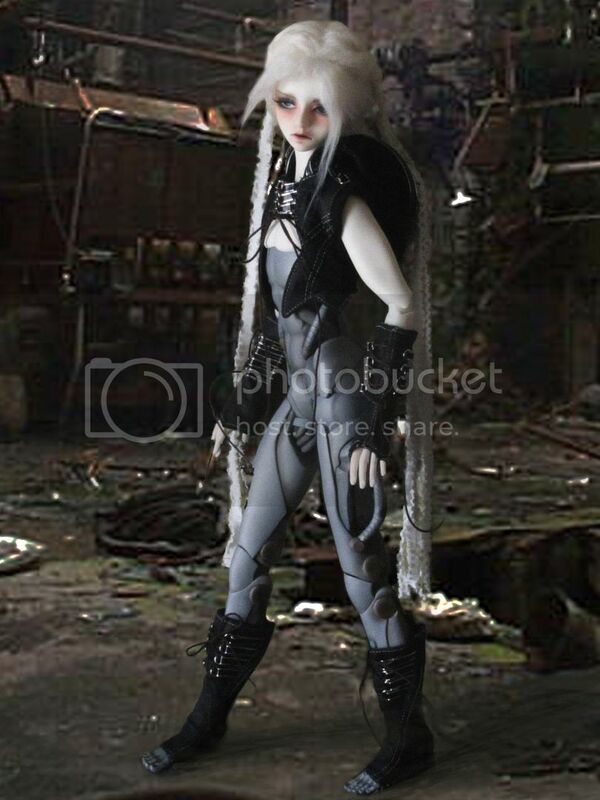 I did some quick photoshopping since I don't have a great backdrop for a robot-type boy. 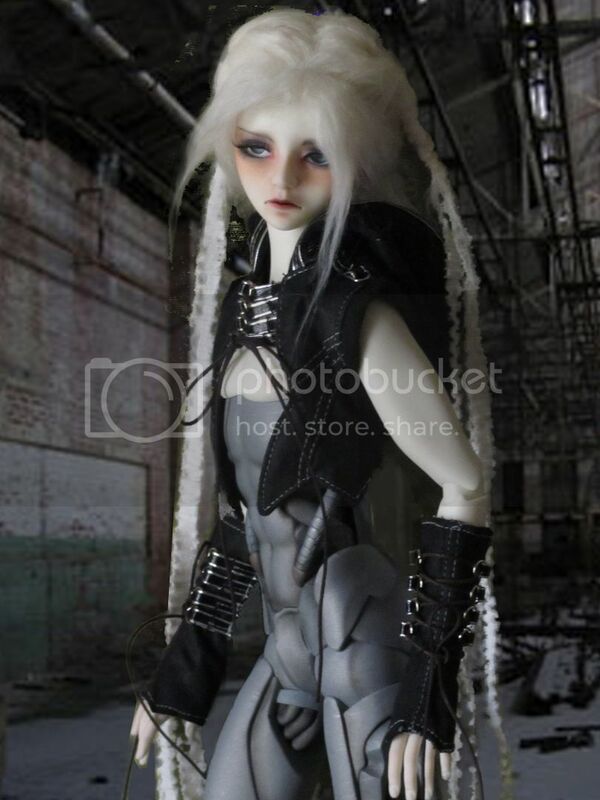 He's pretty much a full-set, coming with v.3 style outfit and wig, default faceup (with slight modding), eyes, white skin on human parts, special "steelskin" on robot parts, body blushing by me. Still need to work on the blushing and faceup a bit. Minis tend to be easy to pose and stand, and he is. I like the way the joints work on his robot parts--you don't see the elastic and it looks like robot parts should. He's really a lovely little guy (well, relatively little--he's on the tall side for a mini). I'm glad I finally got some photos shot of him. Re: Colorado Theater Shootings-- what can I say? It's just horrific. Yeah... I went a bit crazy getting dolls in Dec/Jan., what with Frankenstein and this boy... So many cool dolls being made--just can't resist! Those joints really look cool! The robot parts are so detailed and well-sculpted. Congratulations on your new addition!